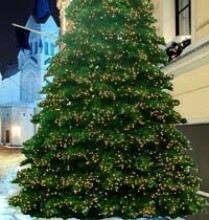 Christmas tree decorations come in large commercial sizes. 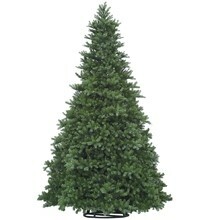 The unlighted Grand Teton commercial trees come in 10 sizes ranging from 20 to 38 foot. The branch tips are made of poly vinyl and they attach to the steel frame. These trees come with a strong steel frame. 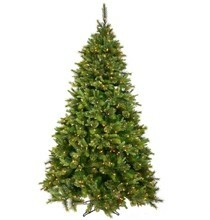 These commercial grade trees come in 5 different sizes, 30 to 38 feet in heigth. The lights are with warm white C7 LED's. Chose between clear or multi colored lights. The branche tips are PVC and they attach to a steel frame.